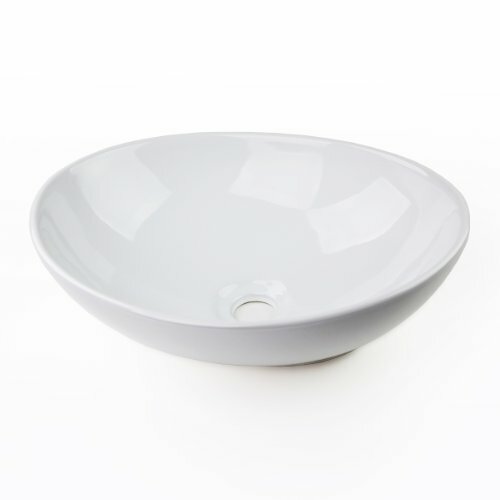 Upgrading your bathroom is easy with our contemporary ceramic vessel sink art basin. Whether your decorating style is traditional or modern, our products will compliment your home improvement project and add a lavish, luxurious feel while protecting your health, safety and the environment. Premium quality ceramic construction without overflow and above the counter installation. Ideal for both home and commercial use. NOTE: Sink only. Popup drain sold separately. Matching Pop-Up Drain available from our store, we have a wide selection of size and finish. If you have any questions about this product by FH, contact us by completing and submitting the form below. If you are looking for a specif part number, please include it with your message.